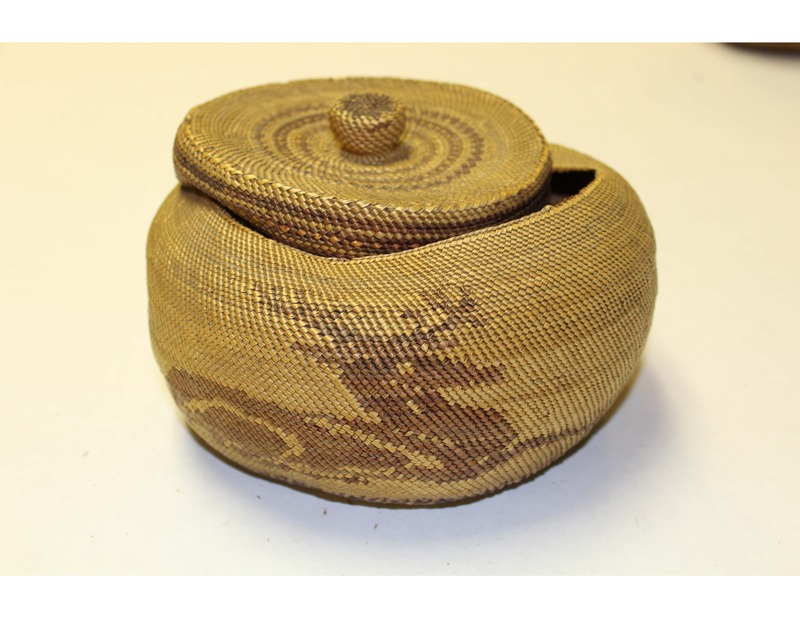 Interestingly, this basket was found in the collection with a tag attached identifying it as as King George Island Tribe. The King George Islands are actually in Antarctica, so we knew that could not be the correct identification. 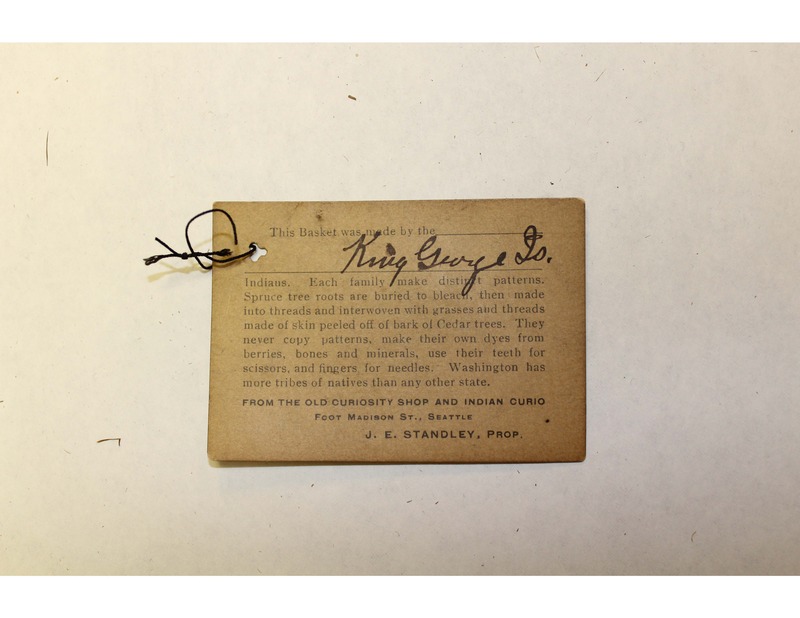 With some research and much sleuthing, we concluded two things: one that this had been possibly misidentified at the time of purchase and there was something more to the name “King George Is.” – more research was needed. For those of you who are familiar with Seattle and curious about the tag, Ye Olde Curiosity Shop was founded in 1899 as as The Old Curiosity Shop and Indian Curio by Joseph E. “Daddy” Standley , an Ohio-born curio collector who came to Seattle in the late 1890s during the Yukon gold rush and is still operating on the waterfront. So a little more research took us to old maps of the Puget Sound, where we discovered that Nootka Sound was once known as King George Sound, the body of water that separates Vancouver Island and Nootka Island. That certainly seemed more plausible than a remote group of Antarctic islands, so we knew we were getting closer. Yet, stylistically this basket did not seem to be from the Nuu-chah-nulth people, who lived on Nootka Sound but they did share a language, Wakashan, with another group – the Makah. Once we had that information, we came across a few of the extant baskets made by Ada Markishtum and we realized that this basket could be a match. Beautiful basket with lovely design. The information regarding it’s history was helpful in understanding more about it.